The Justice Department announced a lawsuit Tuesday against Standard & Poor's over its inaccurate ratings of investments tied to subprime mortgages in the run-up to the financial crisis. The suit represents the first federal action in connection with the crisis against one of the country's major ratings agencies, which have long been cited as key culprits in the meltdown. The Justice Department accuses S&P of giving deceptive ratings to mortgage securities between 2004 and 2007 that greatly underestimated the risk to investors. It did so, according to the suit, in order to collect fees from the firms that were pooling the risky home loans into securities. Government officials say they've identified more than $5 billion in losses from collateralized debt obligations -- mortgage-related investments typically referred to as CDOs -- rated by S&P between March and October of 2007. "During this period, nearly every single mortgage-backed CDO that was rated by S&P not only underperformed -- but failed," Attorney General Eric Holder said. "Put simply, this alleged conduct is egregious -- and it goes to the very heart of the recent financial crisis." Acting Associate Attorney General Tony West said government officials "believe conservatively that S&P's actions make it liable for more than $5 billion in civil penalties." That could mean a massive hit for S&P parent McGraw-Hill, which reported $911 million in earnings for 2011. McGraw-Hill (MHP) shares closed down 10.7% Tuesday, after tumbling 13.8% Monday following early reports of the suit. Shares of fellow ratings agency Moody's (MCO) finished 8.8% lower Tuesday after a plunge late Monday on speculation that the firm may also be in the government's crosshairs. Holder and West were joined at a press conference Tuesday by attorneys general from six states and the District of Columbia who are pursuing similar civil suits against S&P. The Justice Department said it expects additional state lawsuits. S&P called the suits "meritless." 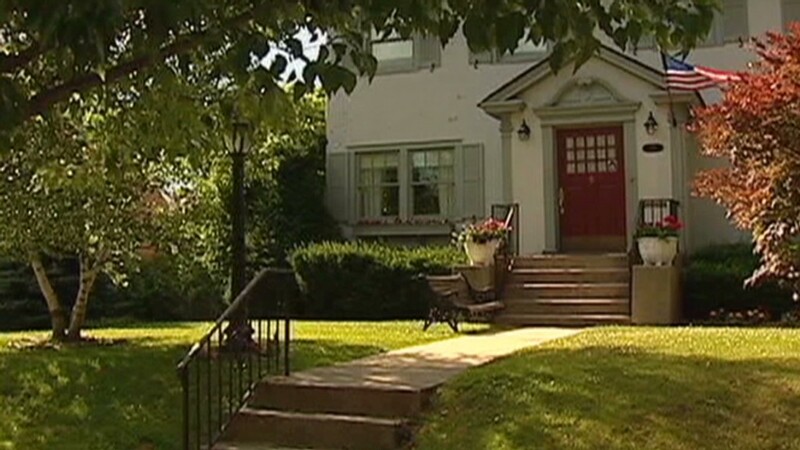 The firm said that it "deeply regrets" that its ratings "failed to fully anticipate the rapidly deteriorating conditions in the U.S. mortgage market," but that it relied on the same data as U.S. government officials and other analysts who failed to predict the housing bust. "At all times, our ratings reflected our current best judgments," S&P said in a statement. "Unfortunately, S&P, like everyone else, did not predict the speed and severity of the coming crisis and how credit quality would ultimately be affected." A Moody's spokesman declined to comment when contacted Monday. A spokesman for Fitch, the other of the three big ratings agencies, said the firm has "no reason to believe Fitch is a target of any such action." 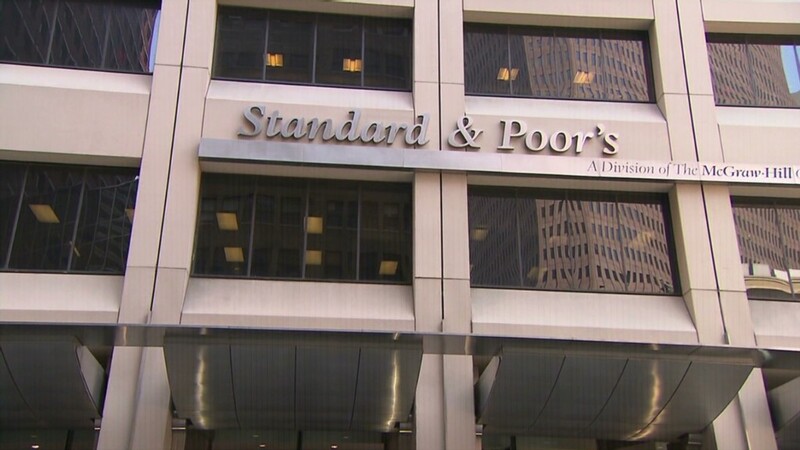 Justice Department officials denied that there was any connection between the lawsuit and S&P's downgrade of the U.S. credit rating in the summer of 2011, saying that their investigation began back in November 2009. They declined to comment on whether suits are planned against the other ratings agencies. Wall Street firms and other investors rely on ratings agencies to analyze risk and give debt a "grade" that reflects a borrower's ability to repay loans. The safest investments are rated "AAA." In the years preceding the meltdown in 2008, large numbers of securities received AAA ratings even though they were backed by risky mortgages. Those mortgage-backed securities paid investors well when housing prices were going up and borrowers could sell their homes at a profit. But as the housing bubble burst, foreclosures soared. Critics say that because the major ratings agencies are paid by banks and other issuers of securities rather than investors, they succumbed to a conflict of interest in giving their seal of approval to dubious investments, steering many investors wrong as a result. "Credit rating agencies allowed Wall Street to impact their analysis, their independence and their reputation for reliability," Sen. Carl Levin, a Michigan Democrat, said in a 2010 hearing. "And they did it for the money." In a 2007 email quoted in the lawsuit, an S&P analyst told an investment banker client that there was "a lot of internal pressure in S&P to downgrade lots of deals earlier on before this thing started blowing up," but that the firm's leadership "was concerned of p*ssing off too many clients and jumping the gun ahead of Fitch and Moody's." "This might shake out a completely different way of doing biz in the industry," the banker responded. "I mean come on, we pay you to rate our deals, and the better the rating the more money we make?!?! Whats [sic] up with that? How are you possibly supposed to be impartial????"